Things are moving quickly. 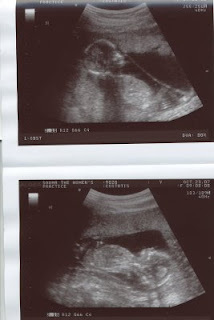 Here they are at 15 weeks. We're having a boy and a girl...hurray! The boy is the top picture and the girl the bottom picture.